For young people, text messaging is rapidly replacing talking on the phone. Parents could easily assume that typed text is the best way to stay in touch with their tech-savvy kids. But newly published research suggests that, in times of stress, there’s no substitute for the soothing sound of mom’s voice. That’s the conclusion of a research team led by University of Wisconsin-Madison cultural anthropologist Leslie Seltzer. In a study released last year, Seltzer and her colleagues found comforting words from mom decreased levels of cortisol (a biomarker of stress) and increased levels of oxytocin (a hormone linked to trust and kindness) in 7- to 12-year-old girls. But was the soothing a response to their mother’s words, or simply the sound of her voice? That increasingly relevant question was explored in a follow-up experiment, which the researchers describe in the journal Evolution and Human Behavior. The study featured 68 girls between the ages of 7 and 12. They were instructed to give a talk and solve math problems “in front of an audience trained to maintain a neutral facial expression.” After this stress-inducing 15-minute session, the girls were randomly assigned to one of four groups. Those in the first group met in person with their mothers, who provided reassurance via both conversation and touch. Girls in the second group rested alone, with no parental contact. Members of the third group spoke with their mothers over the phone. Those in the fourth group sent and received instant messages with their mothers but did not speak with them. All the girls had their cortisol and oxytocin levels measured before and after the experiment. The results: those who had in-person interaction with their parents and those who spoke with them by phone had similarly higher levels of oxytocin and comparably low levels of cortisol. However, those who communicated via text message had low levels of oxytocin and increased levels of cortisol, both of which were comparable to those who had no contact at all with their parents. In terms of bodily stress response, the instant messages apparently had no impact. For Seltzer and her colleagues, this suggests that “auditory cues” rather than “the linguistic content of an exchange” promote the hoped-for hormonal response. They note that this makes sense from an evolutionary perspective, since mothers were soothing their children with words thousands of years before the advent of written communication. The study has its limitations, of course; for one thing, it was restricted to mothers and daughters, and the girls were in a specific age range. 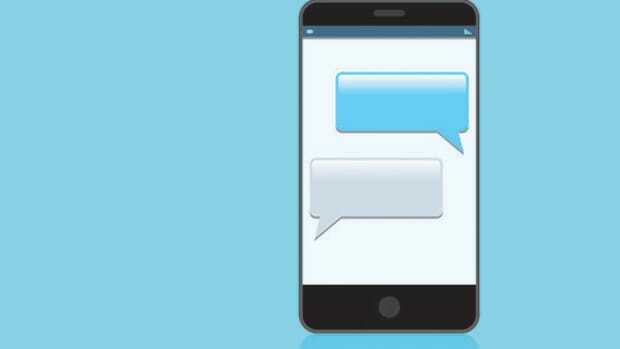 What’s more, the researchers concede it is possible that the mothers’ lack of proficiency with text messaging may have frustrated the daughters, increasing their stress levels further. Nevertheless, this study suggests we’re losing something by turning so heavily to text. Reading the words “How did you do?” and hearing them are two very different things — especially if the voice in question is a familiar one and its tone conveys concern and empathy. Spoken language provides level of emotional communication words on a cell-phone screen cannot quite reach.